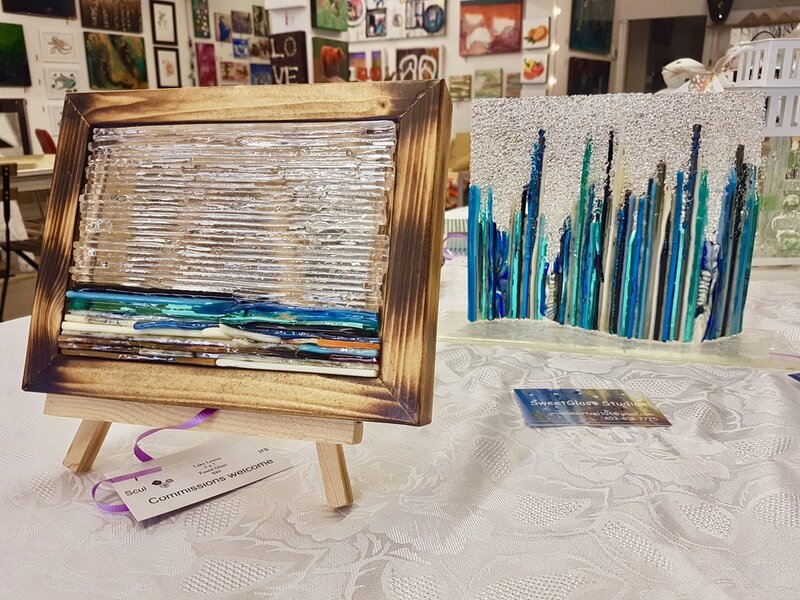 Attracted to both colour and texture I began my artistic journey in the fibre arts through knitting, and quilting then progressed to watercolour and acrylic painting. I learned to paint with watercolour where the combination of colour selections and the paint’s tendency to move and flow created amazing images. Studies in acrylic paint enabled me to gain additional control over compositions and to add an element of texture to my work. In these years, I took classes and workshops in composition, colour theory, painting techniques and advanced quilting. 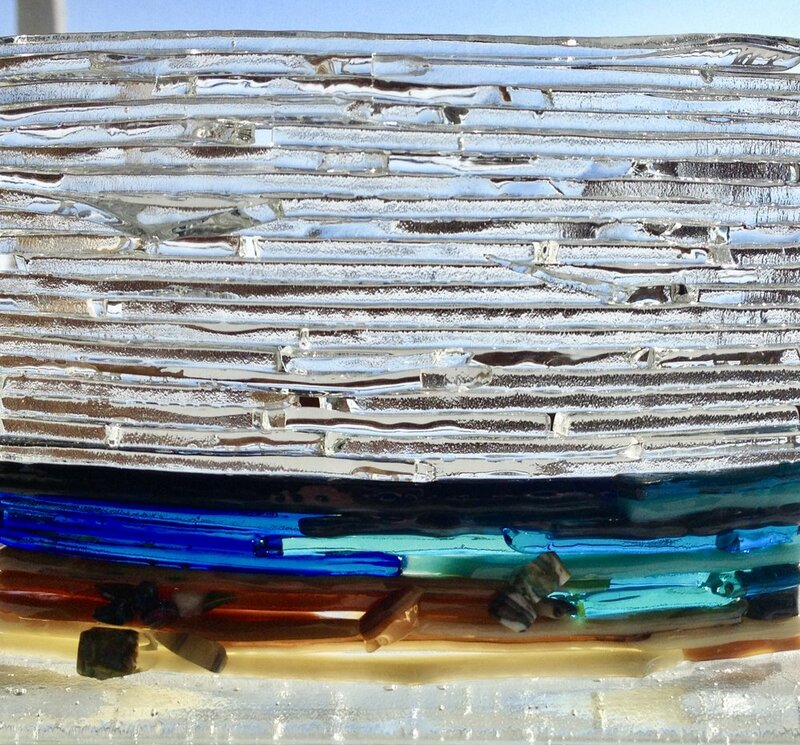 After years of dabbling in fibre arts and watercolour painting, and, as a lifelong lover of glass, I took this class hoping this would be the beginning of a new direction and new media. It turned out to be both but not in the way I expected. The heavens opened up as I discovered fused glass. It became obvious to me that this would be the way I could create works of art in glass. I learned the basic, technical side of cutting and fusing glass with information on types of glass and basic design techniques. Let the games begin! By committing to this purchase I dove right in to experimenting, perfecting and discovering new ways to work with glass. Sometimes through trial and error, sometimes with help of youtube and sometimes simply not knowing it couldn’t be done, I began to design plates and platters. I quickly moved on to creating wall pieces and sculptural pieces.